Okay. So for any of you Harry Potter fans out there, I have a message for you. 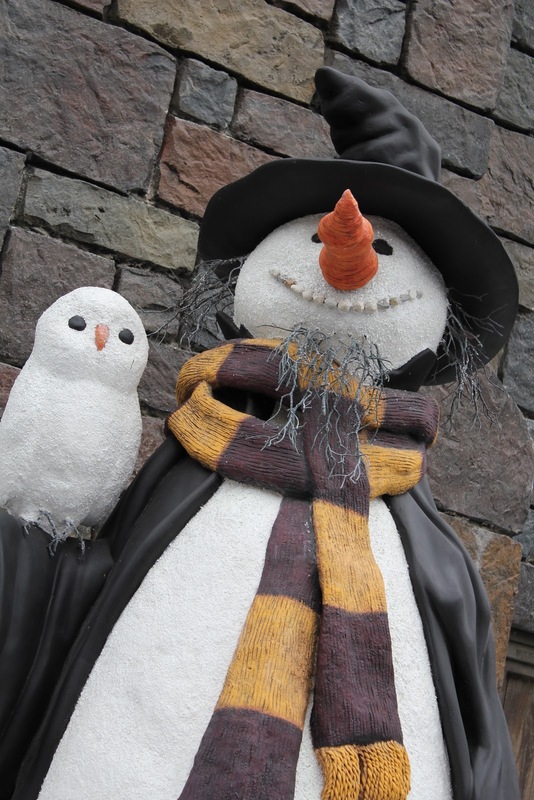 GO TO THE WIZARDING WORLD OF HARRY POTTER. I am telling you, it is the experience of a lifetime. If you love the books and movies, it is probably the coolest place on Earth. I am already planning a trip back with my mom and best friend. How I am going to swing that money-wise- I have no idea. But I NEED to go back! Hogsmeade looks exactly like you would imagine it. Wonderful shops everywhere, and the tiniest details are covered everywhere. 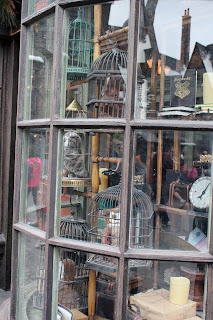 The Owl Post window has birdcages with the cutes plush owls in them, you can find Gilderoy Lockhart's books in shop windows, and his pictures move just like in the books. I could seriously go on and on with all the details. 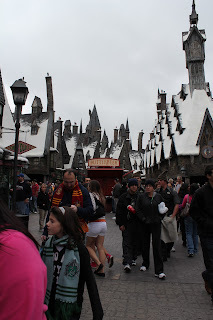 Hogwarts is just brilliant and the broomstick ride inside is amazing. 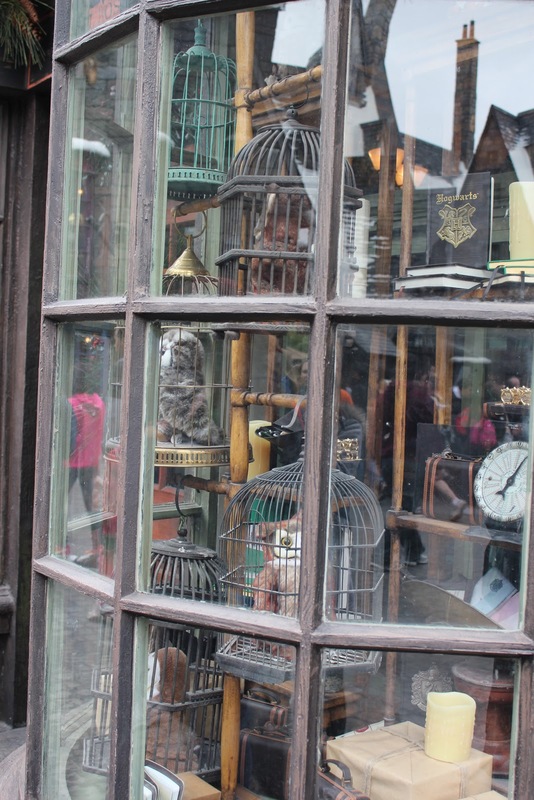 One of the best parts of the park is Ollivander's Wand Shop. It is a very brief show, but it is so much fun! For each show, somebody gets chosen from their audience by Ollivander and he helps that lucky person get "chosen" by their wand. 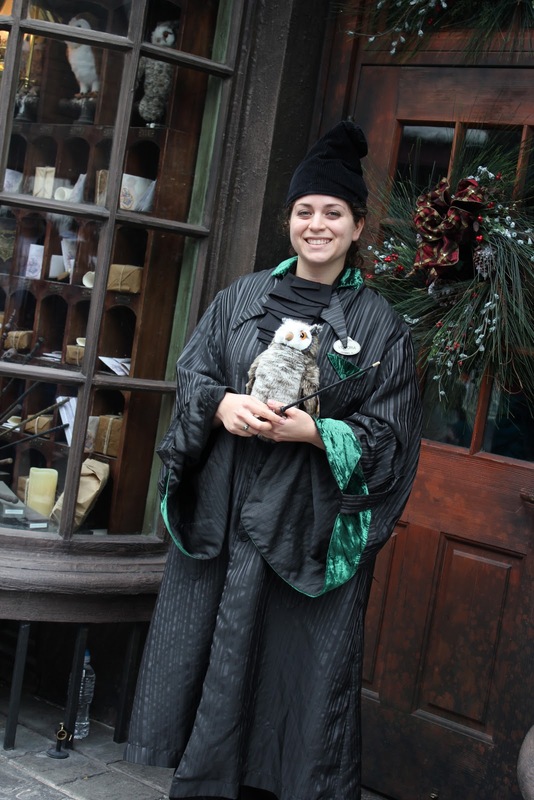 Each show varies and the person goes through a few problem wands and casts some funky spells that go awry before finding the right wand. On our second time through, Kevin and I got chose together as the lucky ones! He asked us if we were together and how we knew each other. When Kevin said we just got married and there on our honeymoon, he replied with "Ahh then...I will let you go first for the very last time in your life!" 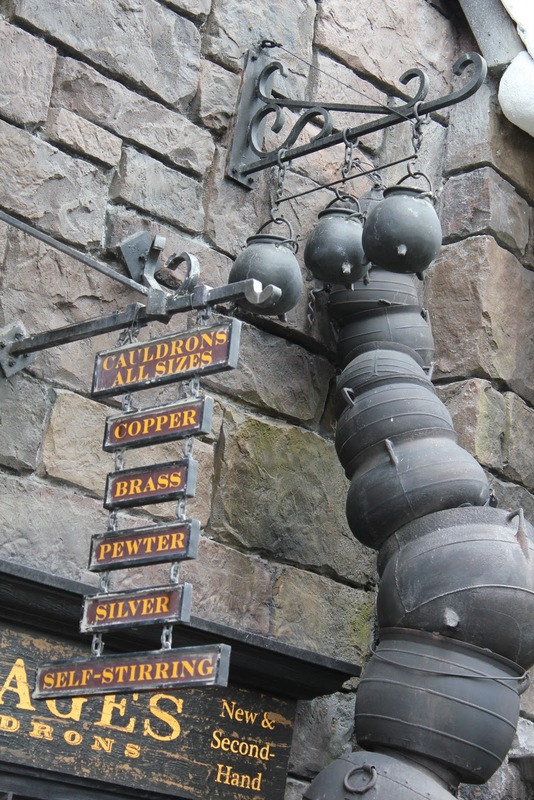 He picked out a wand for Kevin, told him to repeat a spell that would bring his ladder to him. With the flick of his wrist and the casting of the spell, Kevin made all the wand boxes shake and come in and out of the shelves. Not his wand. So it was my turn. I was given my wand, flicked my wrist and thunder and lightning immediately followed. With that, Ollivander had an epiphany, He took our wands out of our hands, criss-crossed them and traded wands between us. As they touched our hands, music started playing, lights shown down us, and the wind blew from where we were standing. Exactly like the movie. 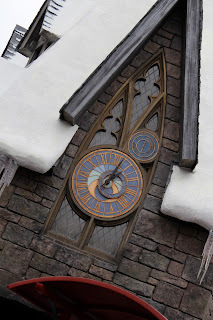 Unfortunately, we don't have pictures of it since we were the ones in the show, but it was one of the most memorable parts of the trip for me! I wish I could post all the pictures from the park but I have over 300. In fact, I took over 2000 pictures on the whole trip! 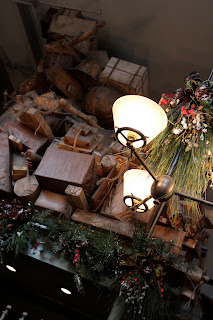 I am going to try and get them all posted on flickr, and if you have me on Facebook, you can see them all there. But let me assure you. The park was one of the best things I will ever experience in my life. And butterbeer = awesome. When you said you're planning another trip with your mom and best friend, you meant me, right?? Because with all my issues with flying, I got a VERY nice voucher from the airline, and I plan on using it to see a friend, so I can totally use it for that! One deal, I won't tell ANY of my family that I'll be there. lol! 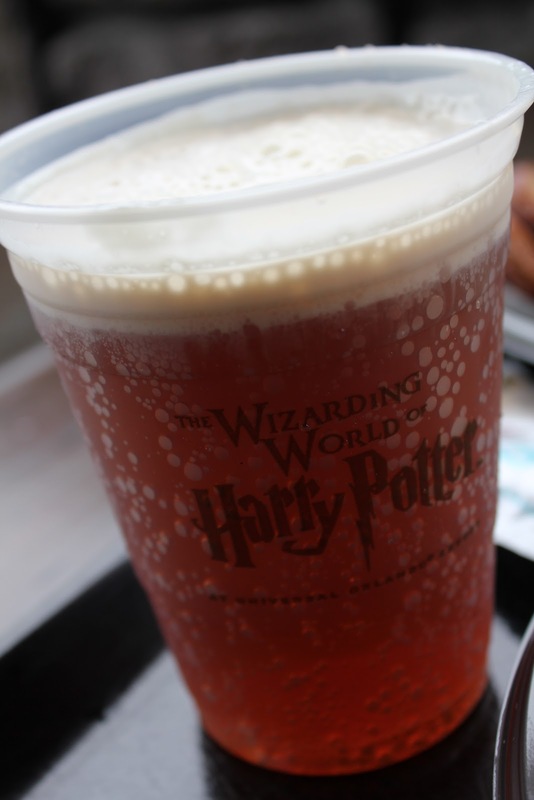 This might be a ridiculously stupid question, but I'm going to ask because I have to know...what did they make the butterbeer from and is it actually alcoholic or not?! OMG! I am soo jealous! I want to go so bad. 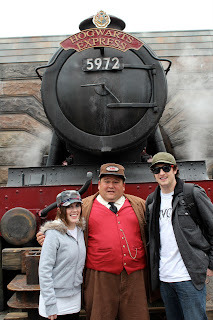 I am thinking my next vaca with the husband will be to Hogwarts! My craftster name is monkey_girl - thanks for the comment on my blog. I went for my honeymoon too and I really want to go back again. Maybe next year, for our 1 year anniversary. Looks like you guys had fun! Great pics!